As if Peter's ghost coming between them weren't enough, Denton and Bran are forced to deal with several errant spirits stalking the citizens of Chicago. Between a French chef who refuses to admit he's dead, and malevolent creatures bent on causing mayhem, jealousy may be the least of Denton's problems. 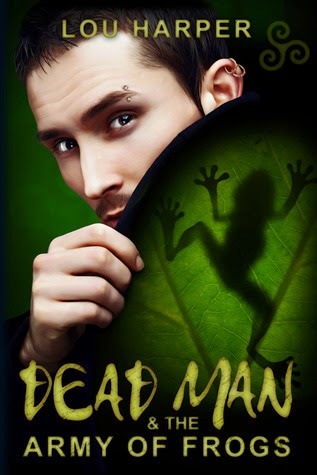 Oh what fun, “Dead Man” Denton (who sees death traces and has other interactions with the deceased and/or paranormal) and his witch/herbalist boyfriend Bran are back for another round of stories. We first meet Denton as a bit player in the excellent “Sanguine” books, and he’s been given the star turn in his own series. Denton’s sweetly exuberant and ready for adventure, which he and more pessimistic Bran find both in the course of daily life and in Bran’s line of work. Their skills complement each other as we’ve seen in “Dead Man and the Restless Spirits” and “Dead Man and the Lustful Spirit”, and here too it takes both of them to accomplish their goals. Told in the now familiar format of linked short stories with an overarching theme, this is a great continuation of this couple's story. The paranormal adventures are a mix of the humorous here, from a haunted Dutch oven to the seriousness of murder, spiced up with Joy, other characters from previous stories, and Bran’s parents. Gabe from the Sanguine stories appears again. Heh.